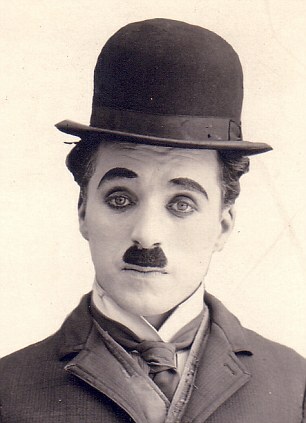 We are staying for two nights with daughter #4 Sharon, in the birthplace of Charlie Chaplin, Walworth in central London, where Andrew is vicar. Here I am on the kitchen table, trying to get this out before Ana, Joy and Zoe descend for breakfast. It’s going to be a tight call – and my screen has suddenly changed size again. But we need routine, to stay to the familiar rhythm of our lives. At this point I would refer you to a book I have at home. I know where it is and what it looks like – but I cannot recall its title or author. So you will have to take my word for it. It seems that the great explorer Sir Henry Morton Stanley, of “Dr. Livingstone, I presume?” fame, managed to endure the most extreme privations by observing a strict daily routine of morning ablutions. Men would be dying all around him but he persevered in managing a perfectly executed wet shave before breakfast. It seemed this fastidious routine kept him alive. In many ways routine is not fashionable. “The less routine the more life,” wryly concludes one Victorian philosopher. This yearning is well known by those writing advertising copy for holiday companies. But the truth is that is not just our bodies which need a predictable rhythm over 24 hours. It is fascinating to hear that one of the key aims of Archbishop Justin is to reawaken the tradition of Christian communities by establishing the Community of St Anselm, just down the road from here at Lambeth Palace. “The Archbishop hopes that the Community will be definitive in shaping future leaders to serve the common good in a variety of fields, as they immerse themselves in a challenging year of rigorous formation through prayer, study, practical service and community life.” He has just appointed the first Prior. Go to the Facebook page. And for our own spiritual lives there is no question about it – we need rhythm, a predictable routine to give God space, an opportunity to meet with us: daily, weekly, monthly, annually. Again for the simple reason that life is not predictable and we can be so fickle. Jesus, of course, knew a wonderful rhythm growing up in his Jewish culture. Luke tells us, for example: “Every year Jesus’ parents went to Jerusalem for the Festival of the Passover.” (Luke 2:41). No doubt he was familiar with the routine of daily prayers practiced, for example, by the Pharisees. However, it was the observance of the weekly Sabbath which defined the Jewish faith in contrast to their neighbours. No other contemporary religion had such a practice. So Sabbath observance became more than just a spiritual discipline – it became what theologians now call a boundary marker, of who is in and who is out. Hence the huge controversy over Jesus’ use of the Sabbath, more was at stake than meets the eye. And so Jesus makes the astonishing assertion: “The Sabbath was made for man, not man for the Sabbath. So the Son of Man is Lord even of the Sabbath.” (Mark 2:27). These structures are there essentially for our well being – that’s the test. And so Jesus honoured the Sabbath, often speaking at the synagogue where he happened to be. And such was the power and place of his resurrection victory that the first Christians still kept the sabbath discipline but now on the first day of the week. Same rhythm, different day. So we need routine. (Lots of shouting upstairs – now typing very quickly) I’m grateful for the encouragement as a young Christian of keeping the quiet time, the daily rhythm of planned Bible reading with a simple prayer. It has become part of my life. And those times when I am out of routine it can so easily slip. I guess the key is, as ever: KISS. Keep it simple, stupid. To decide to give God space and opportunity in the way we live our lives, in the familiar and in the unexpected. And then do it. To know that – even as our grand daughters sail in by no means ready for school – we are poised to take on life’s challenges. 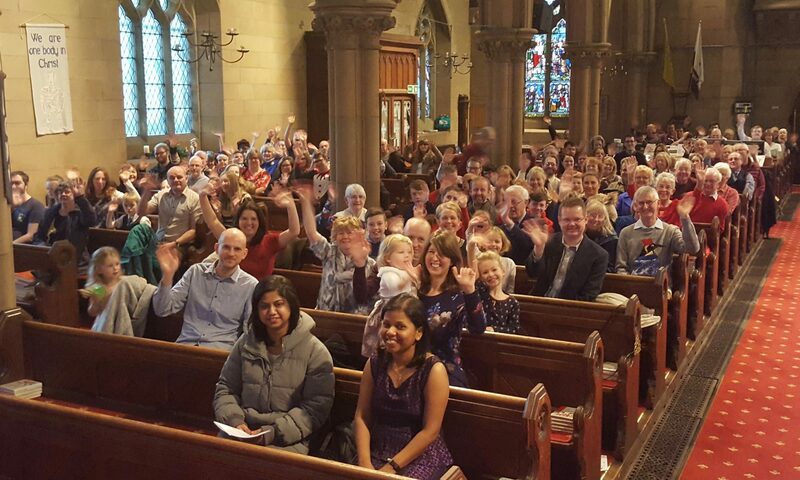 Finally, amongst the muesli, try and make Prom Praise this Sunday – service with members of the All Souls orchestra at 10;45 followed by a barbecue for all in the Ministry Centre.